My university days were spent in Boston, along the Charles River. Boston University (BU) has a long and skinny campus, that ends near Fenway Park, home of the Boston Red Sox. My senior year, I spent a semester "abroad" in Woods Hole, which is about a 2 hour drive from Boston on Cape Cod. I was lucky enough to move back to the 'Hole after graduation where I worked in my field (marine biology). Perhaps now you understand why I have lead London's #Bostonstrong runs the last 3 years. The city holds a special place in my heart. I go back to Boston every chance I get and have made my husband (a devout Detroit Tigers fan) tour Fenway with me. Of course, it helps that a few of my uni friends still live nearby and can offer us a place to crash. If you ever find yourself in Boston, here are my top six activities to keep you active on holiday. 1. Walk or run the Freedom Trail- Less than 3 miles long, the Freedom Trail connects many of the historical buildings and American Revolution sights in Boston with a brick path on the pavement (making it hard to get lost). You don't need to know too much history as there are signs and plaques along the way to let you know what happened where. If you want to grab a refreshment, I highly recommend the North End, Boston's Italian neighbourhood, for delicious pastries. 2. Catch a game- As I have already mentioned, I am a Red Sox fan, but Boston also has basketball (Boston Celtics) and hockey (Boston Bruins). Catch a game and cheer on the home team. You can also take a tour of Fenway, just as James and I did. 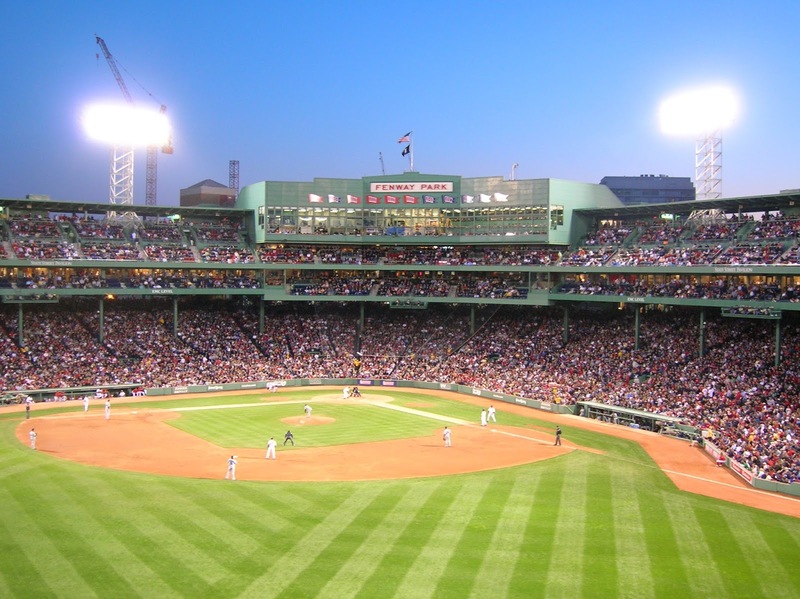 It is an important part of baseball's history and features the Green Monster (big wall in left field as the field is small due to central urban location). 3. Catch a ferry to the barrier islands for hiking and camping- if you have kids with you (or just want a day out of the city), let them loose on one of the barrier islands. Take a ferry over (don't forget to bring a timetable with you for the return journey) and then explore. Grape Island has lots of wooded trails, while Peddock Island offers yurt camping, 10 miles of trails for walking or running, and military ruins to explore. 4. Private sailing lesson- Sailing and boating are large parts of New England culture. 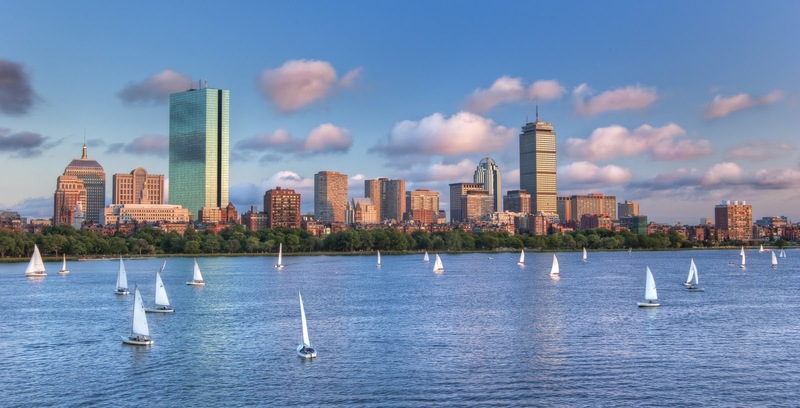 The Boston Sailing Center offers private lessons on Boston Harbor for those up for learning a new skill and seeing Boston Harbor from a different point of view. 5. Whale watch with New England Aquarium- My work-study positions were at the New England Aquarium. At first, I worked in the education department developing training materials for a new exhibit. I then assisted with a research project on green sea turtle hearing and helped in Rescue and Rehab with stranded animals. But I would say my summers on the boats were my favourite. In fact, if money didn't matter, I would work on the whale watch for the rest of my life. It is incredible to observe these majestic animals in their natural habitat and see them curiously look back at you on the boat. 6. St Patrick’s Day 5K in South Boston- Finally, if you time your trip right, you may find yourself in Boston for St Patrick's Day. Boston prides itself on Irish heritage, particularly in South Boston. if you happened to pack your trainers, sign up for the St Patrick's day 5K which benefits the Boys and Girls Club of South Boston. 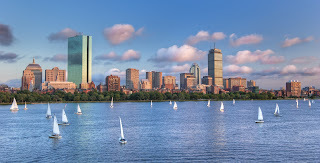 If you are looking for more ideas on what to do when visiting Boston, check out BestBoston.com for more ideas. This post was sponsored by Best Boston. Hi. First, I'm jealous. Although I think we are going back in the Spring for a field hockey tournament. I love Boston. I am a big fan of Cambridge and Harvard Square. Not exactly Boston, but just a couple of Red Line stops away. No Top of the Prudential Building? I also love (LOVE) the Map Room at the Christian Science building. I always recommend that to Boston travelers. No one has ever come back disappointed from the Map Room. One of the coolest spots. Hi Mike, what a bummer you aren't going back soon. There are a million other places I would recommend going in Boston, but was trying to give options here for sport and fitness. Can you climb stairs to the top of the Pru? Not sure about stairs. You can also try the top of the John Hancock building too. Pru is taller I believe.